Novak Djokovic struck another blow for the 30-somethings with victory over Alexander Zverev at the ATP Finals. Djokovic, 31, dropped just five games against World No.5 Zverev, the 21-year old German who is leading the supposed next generation of ATP Tour stars. His routine win came a day after 32-year old Kevin Anderson pulverised Kei Nishikori, 28, in a 6-0 6-1 victory, before the grand master of them all, 37-year old Roger Federer, swept past 25-year old Dominic Thiem. 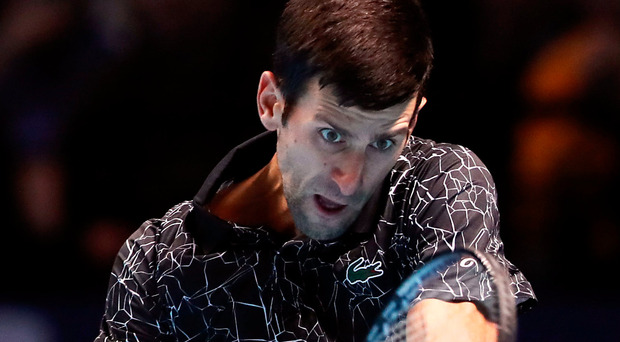 Nevertheless, following his 6-4 6-1 win, the seventh straight-sets singles result in seven matches so far at London's O2 Arena, Djokovic insisted: "I think there is a lot of quality in the new generation. "Zverev is obviously the leader of that next generation. He has proven himself, established himself as a top player. He has won many Masters 1000 events already, I think three in his career, which is quite impressive. "You have to give him credit for that, for qualifying for World Tour Finals two years in a row. Then you have players like (Karen) Khachanov, of course, (Stefanos) Tsitsipas, (Borna) Coric. I think tennis is in good hands. "At the same time, I think us older guys, we're still obviously working hard and working smart, and trying to get the most out of what we have in ourselves left. "How long that's going to go on for, we don't know." Zverev briefly looked like providing the first genuine obstacle to Djokovic's bid for a sixth Finals title, forcing two break points at 4-4 in the opening set. Yet just over half an hour later he was walking off the court having taken just one more game off the World No.1. Zverev had finished an otherwise extremely tidy opening set, with a first double-fault to hand the initiative to Djokovic, and he simply could not wrestle it back. "Obviously I had chances in the first set," said Zverev. "If I break him at 4-4, we'll see where the match goes. I think the match was much closer than the score says. For sure I feel that way. "I've got one more group match to play here. We'll see how that goes. Hopefully I still give myself the best chance to be in the semi-finals." Marin Cilic came from a set down to beat John Isner 6-7 6-3 6-4 last night, which confirmed Djokovic's place in the last four. In a stark contrast to what had come before, the first three games of the final set were all breaks, with two coming for Cilic, who would eventually go on to serve for victory. Meanwhile, Wimbledon finalist Agnieszka Radwanska has announced her retirement from tennis at the age of 29. The former World No.2 from Poland was runner-up to Serena Williams in 2012, and she won 20 WTA titles in her 13-year career.